6. Purge Regularly – It’s kind of ridiculous how many clothes I can accumulate over the span of a year. I think I might be a bit of a clothes junkie. 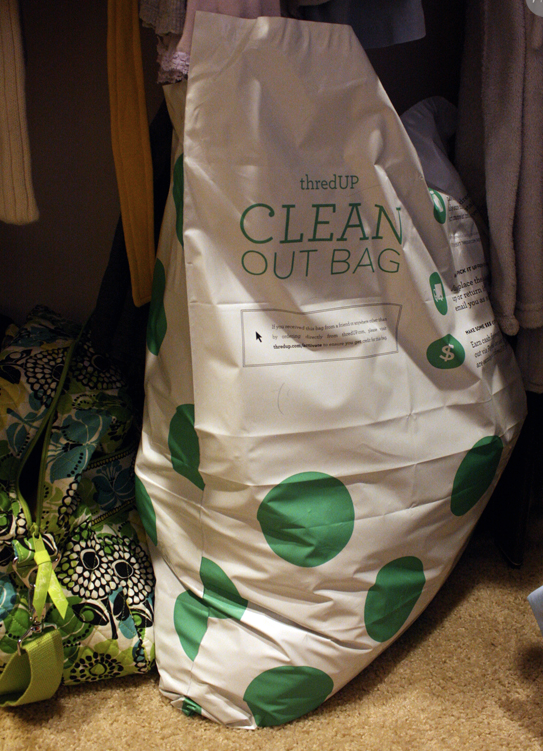 I recently discovered ThredUp, which is basically an upscale, online thrift store/consignment shop. Not only do I shop for high end brands at a fraction of the cost, but I use it to “recycle” my wardrobe and earn store credit. Love. I keep a “clean out bag” on the floor by some of my bags and when I notice a piece I’m not using anymore, in it goes. When the bag is full, I send it back…postage paid. You will want to check out ThredUp if you haven’t before AND be sure to come back later this week for a fun little goodie they’re offering just for you! Next No work involved. Baller.